The pavilion at Castle Durrow. Getting ready to leave Castle Durrow. Our Austrian friends arrive at Castle Durrow. Passing Attanagh Post Office on the way to our first stop. 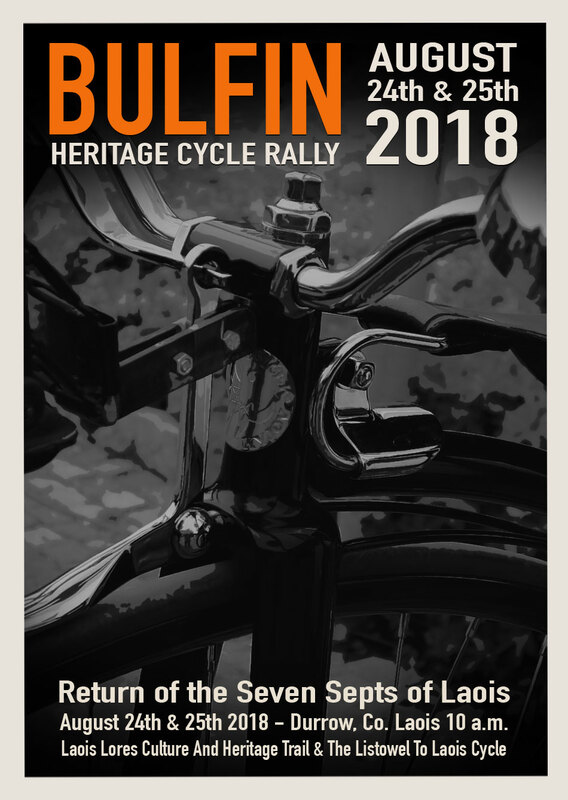 And that is what the Bulfin Heritage Cycle Rally is all about, and is also why we can say, with hand on heart, that the event has been a great success. For it’s all about delving into our heritage, finding, highlighting and sharing it; firstly with those wonderful people who brave the two days with us, on vintage bikes in vintage attire, and secondly with everyone else, as we promise to feature every aspect of our travels here on our website! That is a promise we will keep, but it may take a little time! There are photographs and videos to be trawled through, then edited. Histories, facts and figures to be checked, but we will get there. The wonder of the tower! But before all that, we wish to thank all the participants in this year’s Rally! From all the wonderful cyclists and those who took part in our pageants and re-enactments, to those who gave heritage talks and received us so warmly! It goes without saying, that without you all, we would have no event, but we will say it anyway! Thank you! We hope to do it all again next year, and truly hope to see you all again! Scene from the Return of the Seven Septs of Laois, at the Rock of Dunamase. Ready to hit the road, on day two!